in between projects, tutorials and sales efforts it is always good to unwind with a creative endeavor. it provides me an easy way to clear my mind and encourage unrestrained creativity. 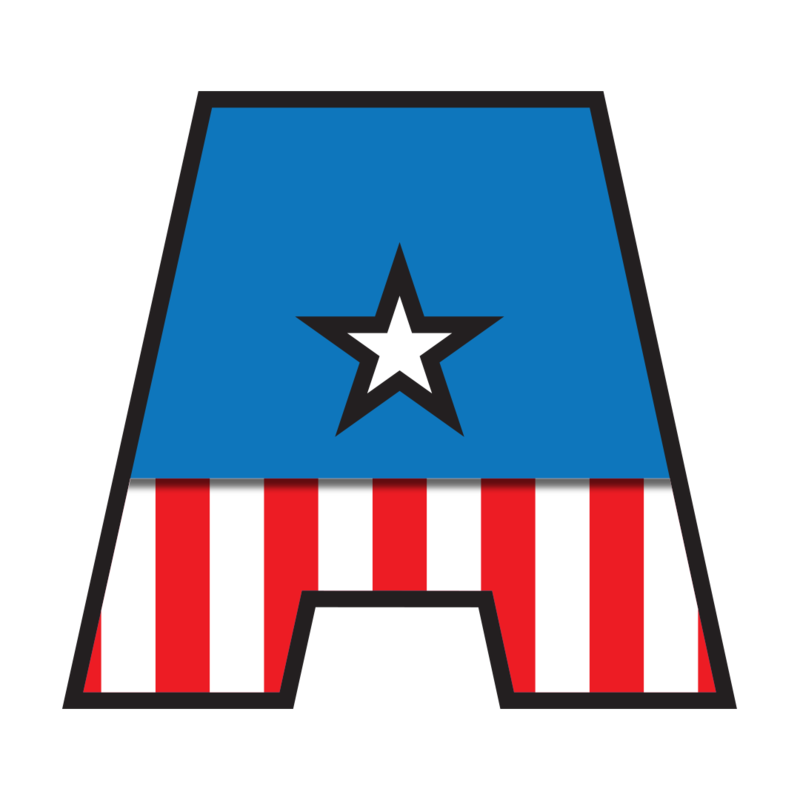 i started this alphabet with an idea to do a different letterform for a different super hero, but i liked the “a” so much that i wanted to devote an entire character set to one of my favorite super heroes, captain america. since a second movie comes out soon, it seemed like a good way to stay motivated for some fun. 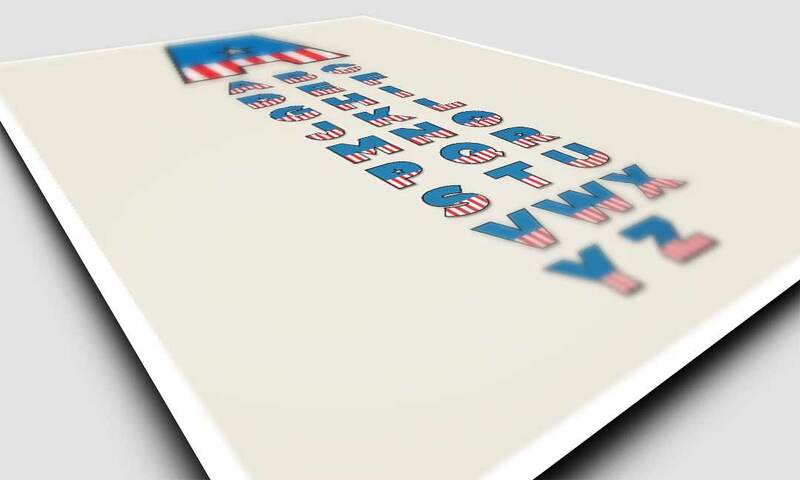 the entire set is based on elements from the classic captain america uniform and is represented in color; although, the boldness of the elements would allow this to work as a single color family as well.